Thanks Nikki for posting! 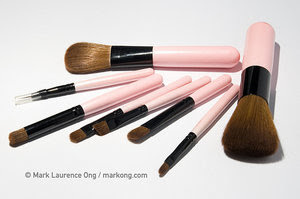 Its been a long time since I want to own a brush set from Charm but the Professional Brush Set is kinda expensive for me.. Thanks to Beauty and Minerals for having a Prebuy! 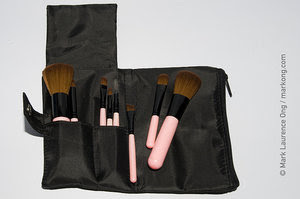 This set is priced at Php 850 with free shipping nationwide! 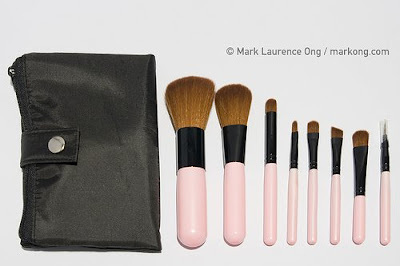 Its more affordable than their Professional set which costs Php 1,800! Yey! Want one? Just click here. Hurry! Prebuy period is from June 2 - July 1, 2009! eeeeekkk! You're ordering one! yay!!!! I'm glad my post helped you out :) I can't wait for you to receive them! Hi! I know that it's a Pre-buy period pero I have family sa Phils is it better na I get it sent there kasi nationwide shipping included or mas mabuti if I get it sent straight here to Sydney, Australia? Tapos now that ended na ang Pre-buy does that mean I now have to pay extra P100?